UK tool brand Silverline is once again sponsoring a top British Touring Car Championship team. 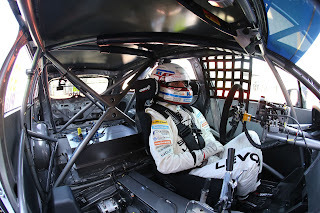 The global tool manufacturer, which won the championship with Jason Plato as team Silverline Chevrolet in 2010, has confirmed a sponsorship deal with Team BMR for the 2016 season. The team will be known as Silverline Subaru BMR Racing. “We’ve been keeping a close eye on developments in BTCC over the past few years and think now is a great time to rejoin forces with Jason and the team, especially with Subaru on board. It’s going to make for a very exciting season,” said Rob Henry, Silverline brand manager. Renowned car manufacturer Subaru will enter the Touring Car Championship after signing a sensational three-year deal with Team BMR. 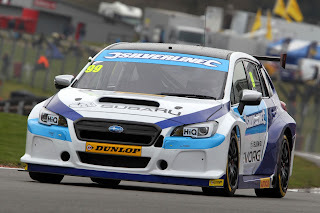 The squad will run the all-new Subaru Levorg Sports Tourer in this year’s series, with both Jason Plato and Colin Turkington spearheading the title assault. Based in Somerset, Silverline is a leading industry manufacturer and supplier of more than 5,000 hand and power tools to traders throughout the UK and Europe. The first race of the BTCC series starts on Saturday 2nd April at Brands Hatch in Kent.